There are few guarantees in life but it’s pretty much a guarantee that if you ask what bow to get for starting out in traditional archery, someone will recommend the Samick Sage. For the money, this bow absolutely performs with a smooth draw, decent arrow speed, and accuracy that will surprise even experienced archers. If you’re in the market for a great budget bow that can take you from novice to experienced archer, this is the bow for you. 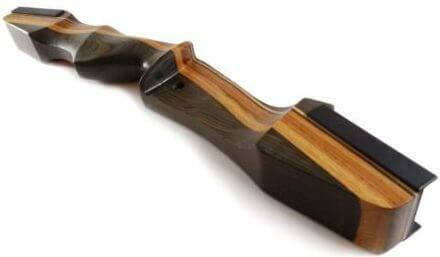 Who should be Interested in the Samick Sage Takedown Recurve Bow? One of the best price/performance bows on the market! Good for everyday shooting and practice. Ability to purchase limbs of varying weights adds versatility. Slightly heavier and larger than similar bows. Not necessarily a great bow for experienced archers. Who should be Interested in this Bow? If you are an experienced archer, you may be a bit too spoiled for such a budget bow but with a price point around $120.00, this bow knocks the socks off any other bow in its price range and several costing significantly more. If you are newer to archery or just need a budget option to get out in the woods and target shoot or hunt, you won’t find better. To get the numbers out of the way, the Samick Sage Takedown Recurve Bow is a 62” bow with a maximum draw length of 29” and is available in draw weights from 25 to 60 pounds. You can expect reasonable performance from the Samick Sage Takedown at draw lengths as low as 24” but you may want to get a bow around 5 pounds heavier in draw weight to get the best performance. All of the normal attachment points for modern bows can be found on the Sage with attachment points for sights, quiver, and a forward stabilizer if you choose to use them. This means you can also use this bow for bowfishing with a standard bow mounted reel. The limbs of the bow are also removable which makes transporting the bow easier. Removal is toolless using knob-headed screws. Additional Samick Sage Bow limbs in different lengths and draw weights are available. Though this is considered a ‘starter bow’ for traditional archery, it hardly feels that way. The Samick Sage Takedown is reasonably fast and very accurate. Arrow speeds are in the 170fps range in a bow pulling 45lbs. The Samick Sage Takedown is plenty accurate and can be expected to put arrows in a post-it note at 40 yards with some practice. Shooting this against several higher priced and custom bows, accuracy was enough to keep up with the big boys. The fact that the Samick Sage Takedown has removable limbs is a great feature. You can fit this bow in a large backpack and since it only weighs 3.5lbs, you won’t feel overburdened. Even better, with the ability to buy extra limbs at about 50 bucks a set, you really get some versatility. Light limbs for practice, heavier for hunting. You can even get shorter limbs so your kids can practice too. There are plenty of better offerings on the market without a doubt but in a market that goes well into the thousands, that is to be expected. There are not a lot of offerings of this quality anywhere close to the hundred dollar point. In value for money, this is about as good as it gets. If you have shot a lot of bows, the first thing you will notice is that the Samick has a decent bit of hand shock and is a little loud. There is an audible smacking sound and string buzz. String silencers help with the buzz but the smack is there to stay. Saying that a bow “stacks” means that it suddenly gets harder to pull at some point in its draw. This can happen for a variety of reasons. The Samick Sage Takedown does have a decent bit of stack but it’s just at the very end of the draw. Unless you are shooting a bow right at the range of your physical limits, this is not likely to be much of an issue. The Samick Sage is a little larger and heavier than similar bows. Though only a matter of a couple of inches and a few ounces, it is worth noting. Part of this is the steel inserts for the takedown screws. Though not the best archer, I can put arrows in 2” targets at 40 yards. Maybe not consistently but at least regularly. I don’t think I have ever been as pleasantly surprised by a purchase as I was with the Samick Sage. The bow is accurate, fast, and easy to shoot with very little strain. Best of all, the Sage is so low cost for such quality! I cannot recommend the Samick Sage Takedown Recurve Bow enough. After getting the first one for my nephew, I had to have one. This is truly a tool that could be used to feed a family or just have some fun without breaking the bank. Go out and get one, you will be satisfied! If you have a draw length longer than 29” check out the Spyder XL Takedown Recurve Bow. Did this Samick Sage Takedown Recurve Bow review answer all of your questions? Let us know in the comments below. 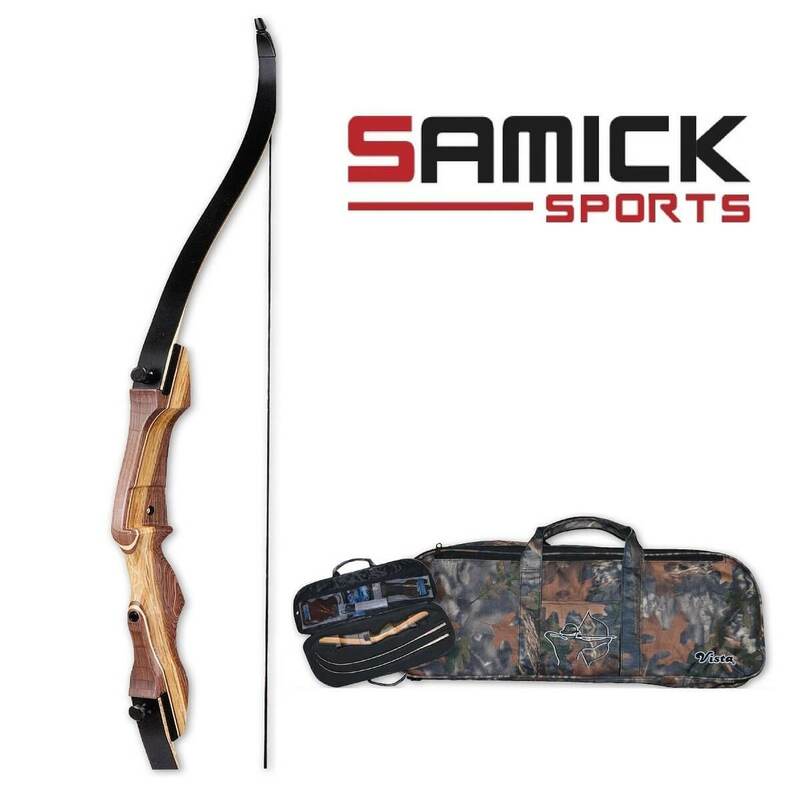 You can’t go wrong with the Samick Sage Takedown Bow!